What’s Going on in the Mountains? As promised folks Musilac is coming back to rock the Chamonix valley once again! Musilac 2018 was a real show stopper showcasing some of the biggest names in the music world. “We have not the slightest clue, no clothes, poles, or any other signs of life. A long fall with a disappearance in a crevasse seems to have taken place” Reported Lieutenant-Colonel Stéphane Bozon. Hold off the snow dance folks & listen to nature, this just might be the start of another #snowmageddon! Are Wolves Creeping Closer To Chamonix? Apart from a few live stock attacks on Mont Joly (Saint-Gervais/Megeve), the Canis Lupus was very discreet in the Mont Blanc Massif. https://www.planetchamonix.com/wp-content/uploads/2018/10/34484503_10155166192190882_3872142209683816448_n.jpg 500 750 Patrick Murray https://www.planetchamonix.com/wp-content/uploads/2017/07/planet-chamonix-header-logo.png Patrick Murray2018-10-06 21:46:522018-10-06 21:46:52Are Wolves Creeping Closer To Chamonix? The work should be finished by the 5th of October, don’t forget folks that the Flégère is open till the 5th of November this year! We wanted to wait until we got full confirmation that the Plan Joran will open, and we’ve got it! https://www.planetchamonix.com/wp-content/uploads/2018/09/oie_G0YOJZCP0fCn.jpg 413 647 Patrick Murray https://www.planetchamonix.com/wp-content/uploads/2017/07/planet-chamonix-header-logo.png Patrick Murray2018-09-12 11:29:412018-09-12 11:29:41The Grands Montets WILL Open! Aiguille du Midi | Whats Going On?! https://www.planetchamonix.com/wp-content/uploads/2018/09/oie_1215222XvQXzyqU.jpg 533 784 Patrick Murray https://www.planetchamonix.com/wp-content/uploads/2017/07/planet-chamonix-header-logo.png Patrick Murray2018-09-12 01:49:382018-09-12 01:54:44Aiguille du Midi | Whats Going On?! Press Release : To replace these parts, we must place an order that will require several weeks of manufacturing. Therefore we inform you about the closure of the Tour – Charamillon gondola for the end of the summer season. Disaster Struck On One Of Chamonix’s Most Popular Hiking Trails. 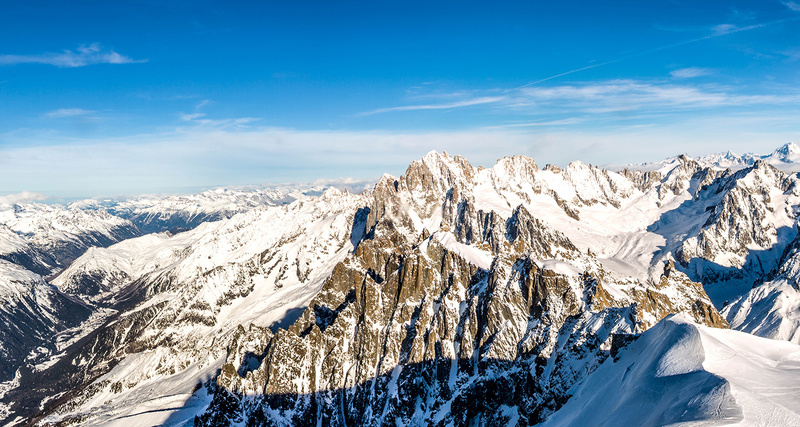 The Rotten Needle Claims The Life Of a Young Doctor From The Mont Blanc Massif. Access Up To The Brévent By Foot Or Via La Flégère Only. Thanks to an analysis of the images collected by the drone, the PGHM was able to identify a clue. The presence of a rope tangled up in snow and rocks, located at the base of the Couloir Chevalier. Val Ferret is no longer accessible by road. It will take at least ten days to clear the 25,000 cubic meters of rock thats cutting the valley in two.